We reach into the past to uncover characters, words or deeds that may reaffirm our belief in the principles of our nation or the lifestyle of our Island. We try to create an idyllic past - the ‘perfection’ of which Mrs. Lindbergh wrote - so that we may strive toward an idyllic future. The history of Martha’s Vineyard during the American Revolution does not always offer these patently reassuring images. But it offers other images that confirm our beliefs because it shows the independent character of the Island and its people. On October 19, 1774, citizens of Tisbury met in the courthouse to discuss the formation of a revolutionary committee, as recommended by the newly founded Continental Congress. 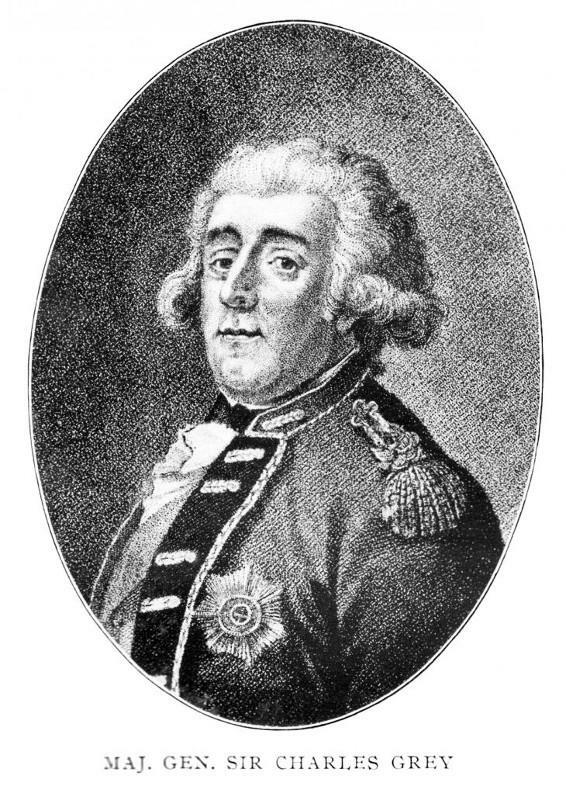 Three weeks later, the county congress adopted a series of resolutions which called for a rejection of the “Arbitrary and Despotick Government” of King George III. A question arose several months after this letter was written as to whether the Vineyard had been supplying the British with provisions, but the General Court ultimately cleared the Island of these charges. That out of the way, the Island continued to petition for troops and arms to help in its defense. By July 1, 1776, there were about 500 men stationed on the Island, half local militia, half from off-Island. It was a sufficient force, large enough to ward off small attacks or make small skirmishes against the British ships passing through the Sound. But on Nov. 16 of that year, an order was given by the General Court for all forces to leave the Island. General Howe was advancing in New York, and troops there were seriously outnumbered. Twenty-five men remained to defend the Island, and King’s troops took Newport as a stronghold. “Whereas the Island of Martha’s Vineyard is so situated that it must put the State to great expense to defend it should our Enemies make that an object of their attention, and as the removal of the Inhabitants of said Island to the main would be attended with many and great Inconveniences to them and cost to the state. Needless to say, the Islanders were not pleased on being left without any aid, and no reference was made to the war in town records during the next 12 months. The Islanders could not have wanted to invite the attack that active war efforts would bring. No blood was shed, but when General Grey discovered the Islanders’ resistance, ships were burned in Edgartown harbor, livestock, vegetables and fruit was taken. The militia were taken as hostages, and the town treasurers forced at sword-point to relinquish an estimated $20,000 worth of town funds. “In Old Town Harbor, Martha’s Vineyard: 1 brig of 150 tons burthen, burnt by the ‘Scorpion.’ 1 schooner of 70 tons burthen burnt by ditto. 23 whaleboats taken or destroyed. A quantity of plank taken. 4 vessels, with several boats, taken or destroyed. A salt work destroyed and a considerable quantity of salt taken. 388 stand, with bayonets, pouches, etc., some powder, and a quantity of lead, as by artillery return. For the next 15 years, Colonel Beriah Norton tried to obtain the payment for the Island’s losses that Major Grey had promised upon his arrival in 1778. But the attempts were fruitless. The Vineyard had made its contribution to the war in the form of a loss to the British, and its effects were strongly felt for the next 25 years.